DAVID LE/Staff photo. 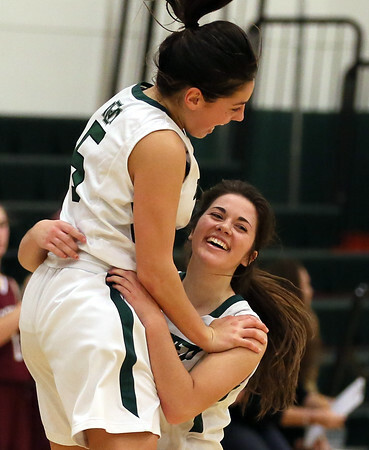 Manchester-Essex senior captain Sydney Christopher, right, gets mobbed by senior teammate Sabrina Pallazola after Christopher scored her 1,000th career point against Rockport on Wednesday evening. 12/23/15.